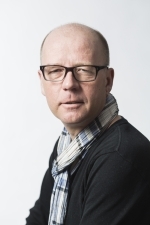 Morten Bøås (PhD) is Research Professor and works predominantly on issues concerning peace and conflict in Africa, including issues such as land rights and citizenship conflicts, youths, ex-combatants and the new landscape of insurgencies and geopolitics. Bøås has authored, co-authored and co-edited several books and published a number of articles for academic journals. He has conducted in-depth fieldwork in a number of African countries and travelled widely elsewhere on the continent.